May I, first of all, add my own thanks to the Lord Mayor, to Jamie Carter and to the NCI? 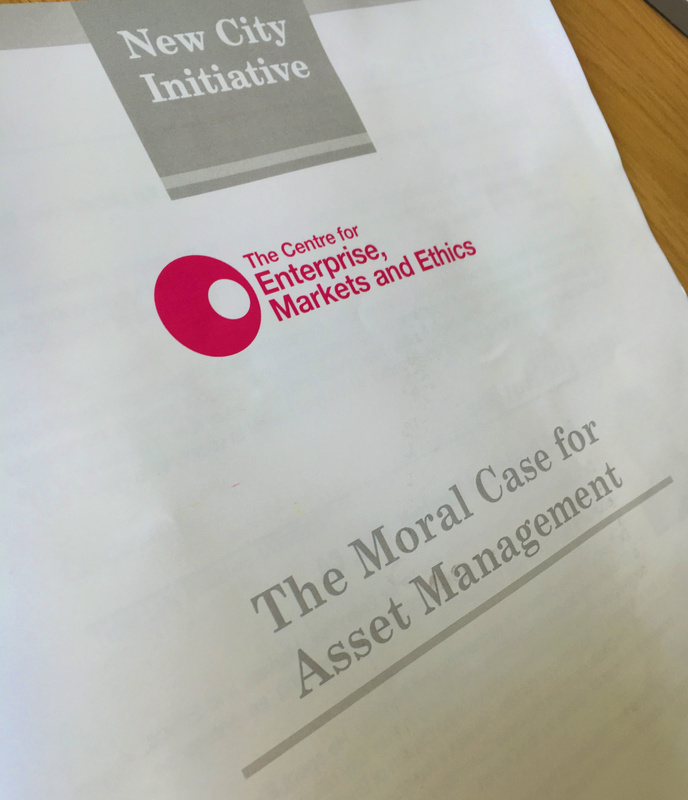 There may be, in the minds of many of our fellow citizens, something rather incongruous about asset managers even beginning to think about morality. That in itself illustrates that the importance of returning to our basic purposes, role, intent and vision, could not be greater. Why is it that efficiency of asset allocation, pooling risk, providing liquidity and so on can be seen as contributing to moral purpose? It is because at the heart of the asset management task lies the collective management of wealth and economic growth that not only provides for individual well-being, but is also an essential component for the provision of public services in any free society. Unless we have the former, we cannot have the latter. So that is our first and most basic moral purpose, the creation of wealth, individual and corporate, and we should articulate it rather more than we do. Second, the very nature of the firms gathered here gives us some clues about moral purpose at the micro level. Intelligent people, thinking about investment, markets and companies; the alignment of interests through co-investment; a culture that focuses on the offering to the client; an alternative to the index-driven retail industry; stewards of value – all of these are moral benefits of NCI member firms. Are there challenges? Of course. We need to be transparent on fees and the relationship of remuneration and performance; fee structures have sometimes rewarded mediocrity. We should recognise that many of our clients will have non-financial objectives as well as financial. We should encourage a culture that places long-term thinking at the heart of the investment objective. Finally, regulation and reputation. Regulation is necessary, but government and regulators alike are mistaken if they think that regulation enforces moral behaviour. NCI members are uniquely placed to shape the culture, the structure and indeed the long-term growth that alone can deliver performance and restore reputation. We should indeed articulate it more than we do, at both micro and macro levels. Well, I encourage you to read the booklet, and if I can be of assistance to you, your partners or clients, to help you achieve these goals, then please do not hesitate to contact me.